Weight Limit Mod is not for the faint of heart, and is designed for those looking for more hardcores. Starting off, it adds a new weight limit element to the player, along with a weight value to all items. The Medium, and Large backpacks can only be found in dungeon chests, or can be acquired by using the Upgrade Station (see below). 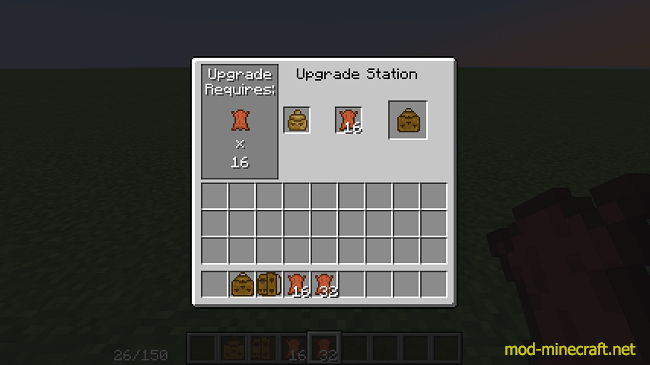 Small Backpacks are about as rare as iron, Medium are as rare as diamonds, and Large are as rare as Golden Apples. Step 3 Enjoy your new backpack! 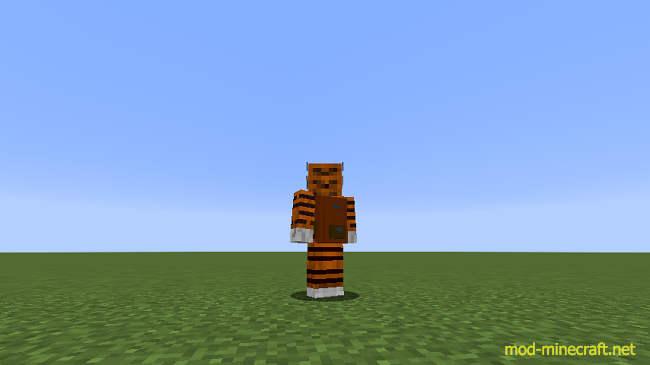 This can also be done on the Medium Backpack, and soon to be Large! 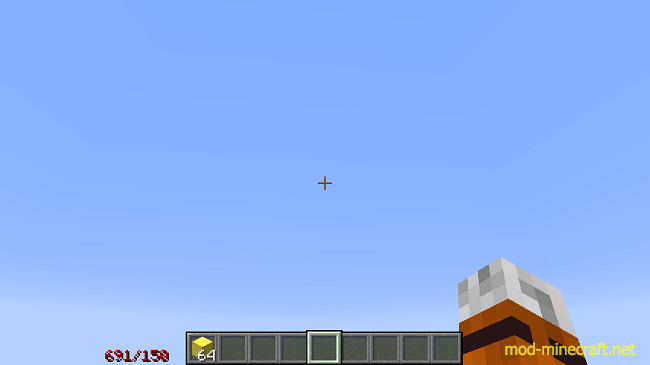 To the left of the inventory is your current weight over max weight. This indicates how much you’re carrying, and how much you can carry before being slowed down. 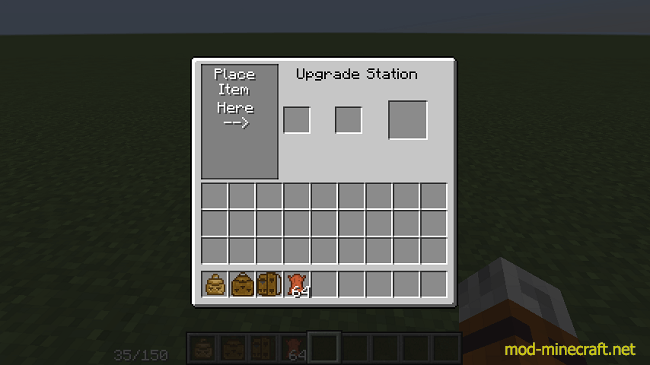 The first, and only slot on the inventory is where your backpack will go. When placed in this slot, the backpack will upgrade your max carry weight by a certain amount; and render a model on your player’s back! Weight of all items is stored within a json file that is created when your first load up your game with the mod. 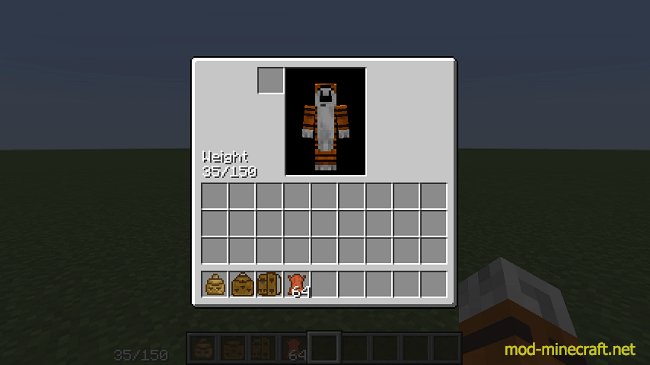 This file will load all blocks and items from the vanilla game, and any mods you have loaded with this one. The file can be located within the folder that the config would be, and can be changed to your liking. When running this mod from a server, the file will be called ‘WeightLimitServer.json’, and any values set in that file will be synced with the client. NOTE: THE ONLY WAY FOR THE CLIENT TO BE SYNCED, IS IF YOU DO A FULL SERVER RESTART! 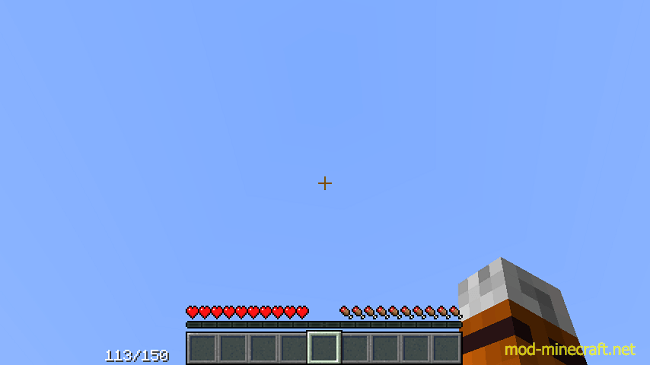 There is a small bug with the advanced HUD display that I am currently working to fix.